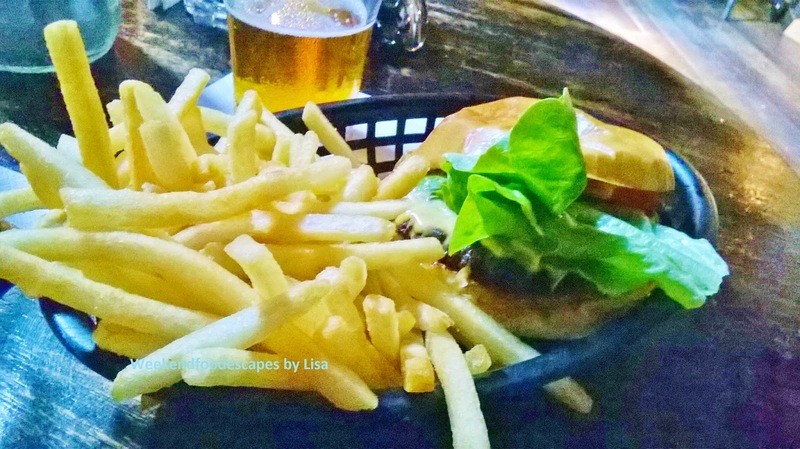 The debate of Sydney's Best Burgers often mentions "Mary's" in Newtown. Located just off King st in an obscure entrance, pop by for a cosy, casual atmosphere and be ready for some tasty food. Upstairs was a random art work (pictured above) which caught my eye. 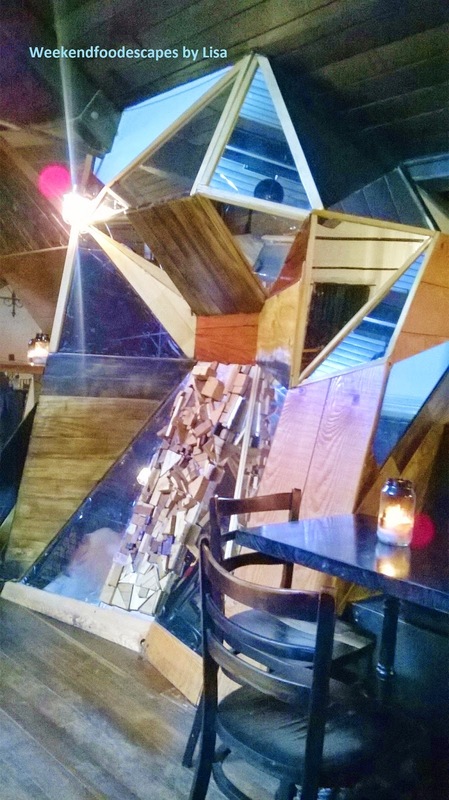 The whole atmosphere upstairs was very rustic. 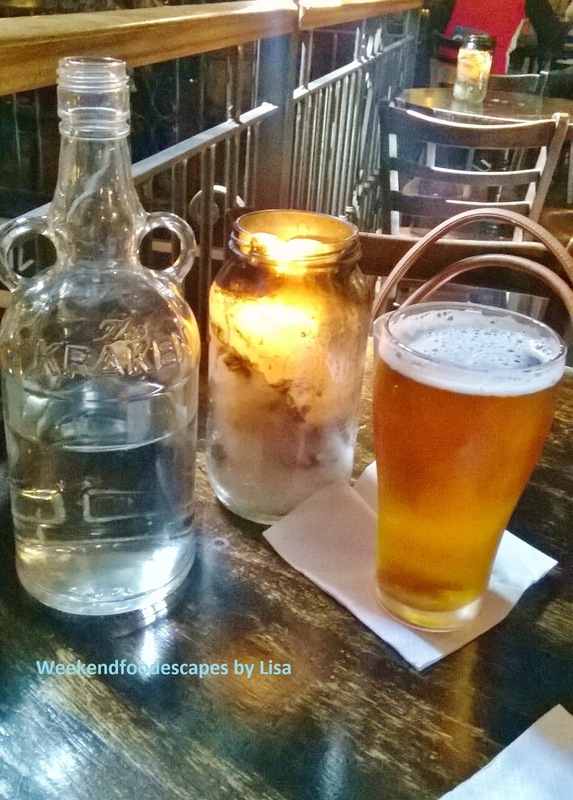 Jars of candles, oddly shaped water bottles and beers just made me feel like I was in a cave-like pub (pictured left). It's hard to believe that ex-Tetsuya head Chef is now at Mary's which resembles something more like a dark and dungeon-like pub. I tried the Mary's Burger which came with a side of fries at $15. The burger was easy to eat; handfuls of salty chips with the burger resembled the traditional McDonald's fries. The combination of the burger meat patty combined with the cheese, soft bun with trimmings of lettuce was bit fancy. The bread was a little bit sweet and quite soft - it reminded me of bread top. The meat was quite nice. 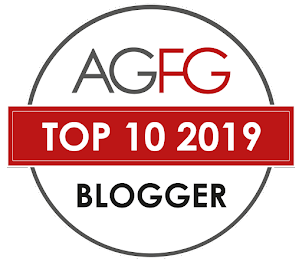 I think overall based on food, experience and value for money, I would still say Chur Burger is at the top of my "Sydney's best burger" but Mary's is very close. I'd definitely come back to try the chicken and a few other dishes too. Location: Look out the obscure entrance on the side street, 6 Mary St, Newtown. It used to be an STD Clinic apparently. 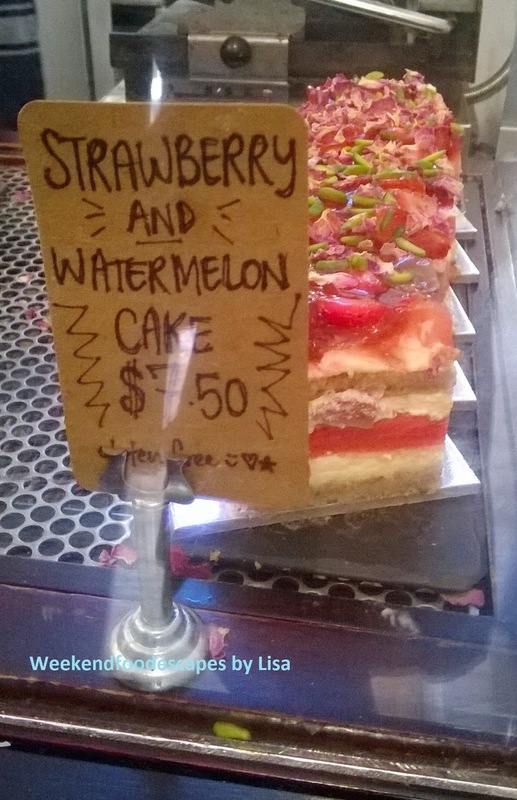 Black Star Pastry and their famous Strawberry and Watermelon ($7.50) cake made me drool slightly. 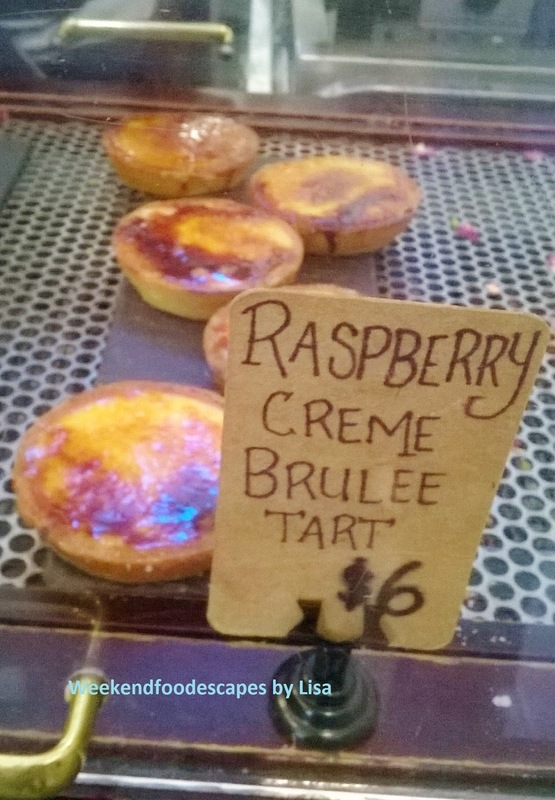 I was also very tempted to get the Raspberry Creme Brulee Tart (picture above) but instead something else caught my eye. The Kaylea looked amazing at $7 which was about 20 cms in diameter (pictured above). 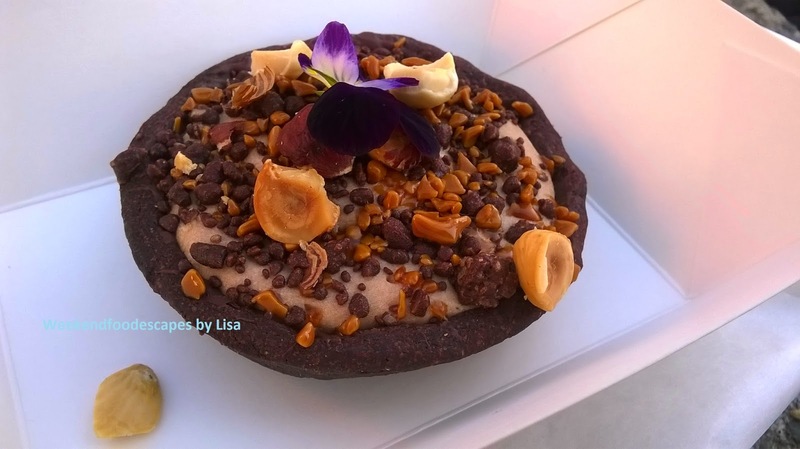 It's described as Valrhona hazelnut praline with caramelised mousse in a chocolate tart. It was very rich and had lots of crunchy and mousse textures. Delicious! I could not leave Black Star Pastry without the Strawberry and Water with Rose Scented Cream at $7.50. As I patiently waited in line; I started to wonder what flavours would soon be erupting in my mouth. It was a mush of watermelon which is sweet, cool and mushy. The cake part is spongey, sugary and light. I also got the very rich dark chocolate pistachio ball. It was a nice change in texture to the Kaylea tart and the Strawberry and Water with Rose Scented Cream cake. Be ready for rich and amazingly sugary surprise. It's a tiny cafe so I suggest you go take away. Delicious! 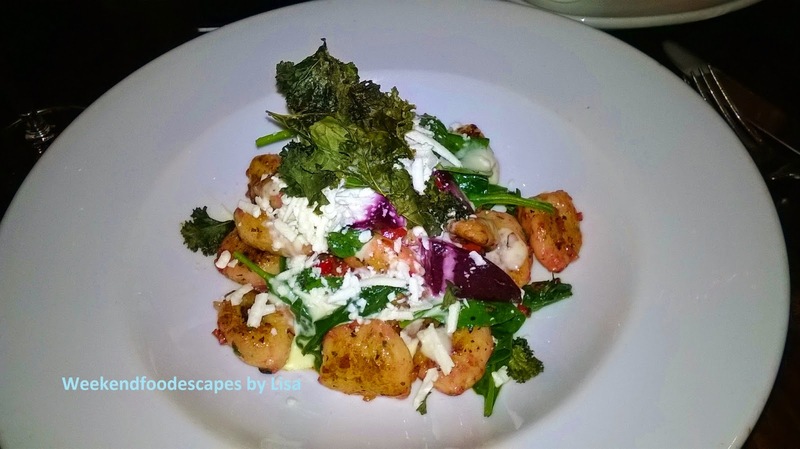 For a delicious two course meal for $38, I came by Sea Breeze at Kiama. The Sea Breeze restaurant is positioned nearby some waterviews (not quite of the Kiama Blow hole but it was not far). I would describe the restaurant as somewhere between a bit posh but still down to earth. 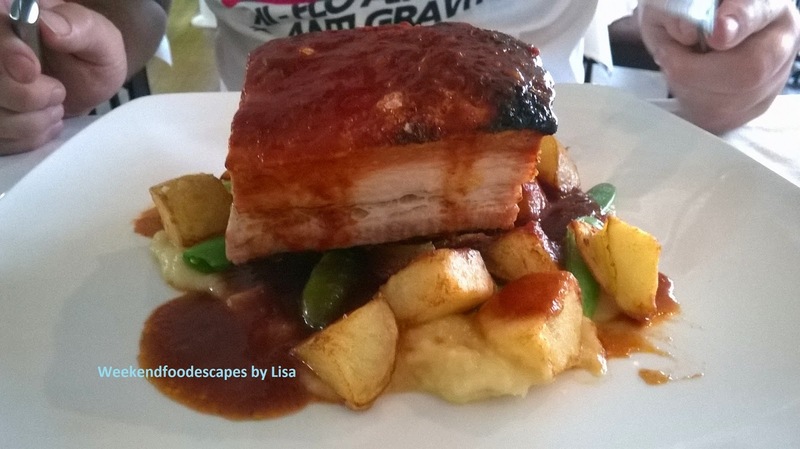 Overall a very high value experience with simple but tasty food, water views and a white table cloth experience. Book for a nice waterview by the window. For the main (above) I had the fish, chips with salad. Everything was just prepared perfectly. This is a very simple dish but can often go wrong - I was just pleasantly pleased. 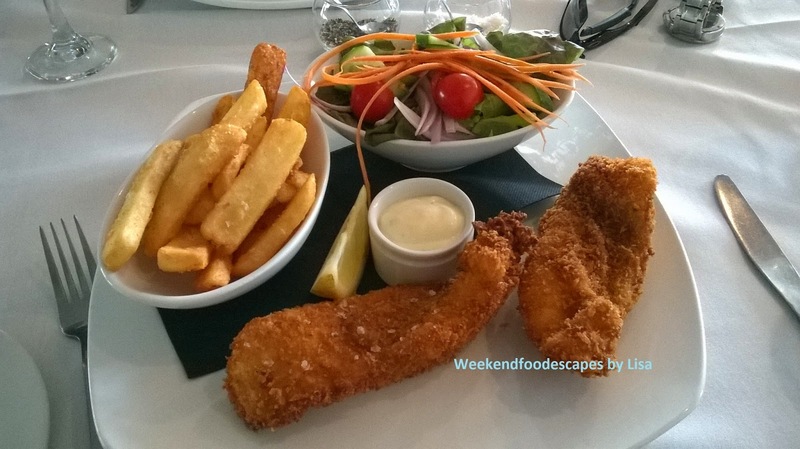 The fish was crumbed, crunchy on the outside, soft and flakey in the middle. Chips were crunchy and had a nice sprinkle of salt. The main of the night was definitely the pork belly though (below) which sat on a bed of potato, mash, gravy and greens. It was very much melt in your mouth pork belly which was so very tasty. Everything just fit in well together. For two courses, instead of entree I choose dessert for the second course. 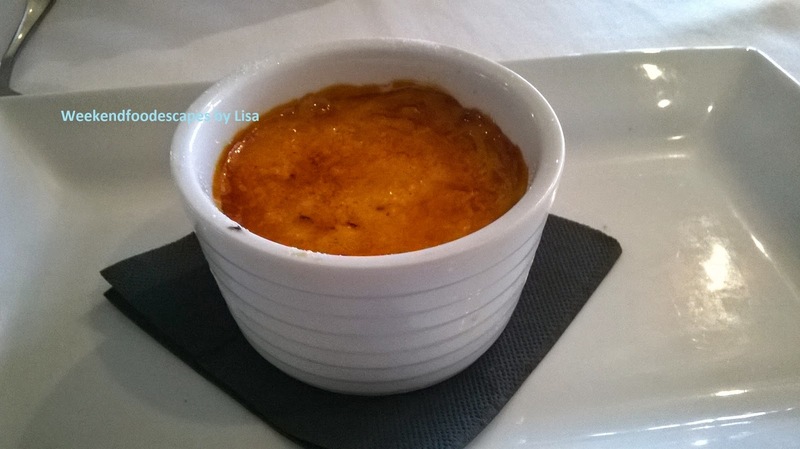 The creme brulee again a traditional and simple dish but was perfectly executed. I love the crispy sugary crunch at the top with the soft curd like core underneath. I was getting very full though. 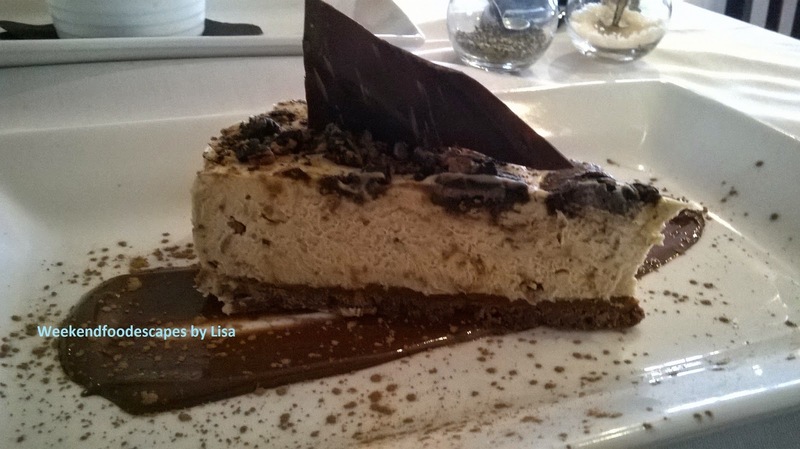 The cookie and cream cheesecake was very rich but I deliciously devoured most of this with variety of textures. This was a very heavy dessert! I would love to come back to enjoy the other dishes. For clean chinese, Lynn Shanghai is very popular. It's located on Castlereagh st within an RSL near Town Hall. 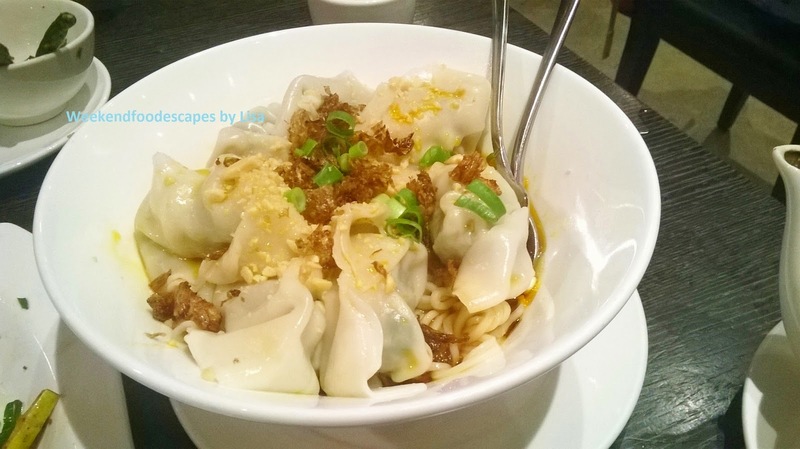 I've been here a few times and had a nice array of dishes including the very popular Xiao Long Bao (dumplings with soup in the middle) where the dumpling skin was a bit thicker. I've also had an array of stir fry dishes, fried rice and other dishes. 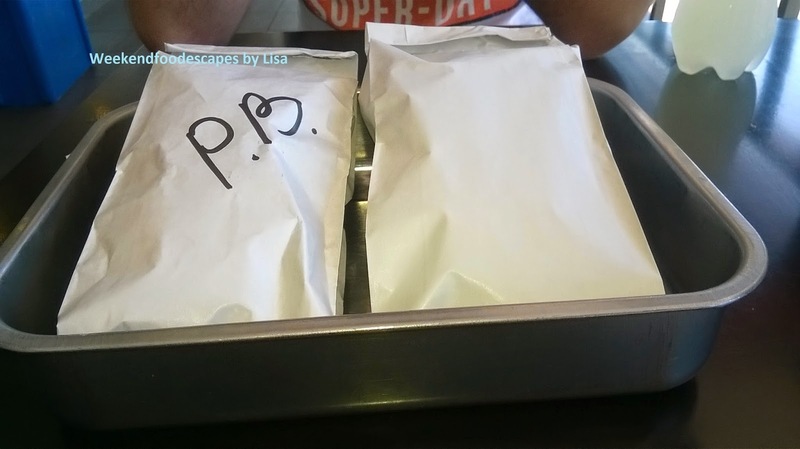 The food is always consistent and the customer service is always poor when it comes to drinks. I always come back though because I enjoy the variety of food. On a not quite so hungry night, I had the vegetable and pork wontons with noodles topped with a hot and spicy sauce (pictured below at $11.80). It's actually a secret punch of spice from the noodles so be prepared for that but it's a lovely carb loaded main to enjoy. 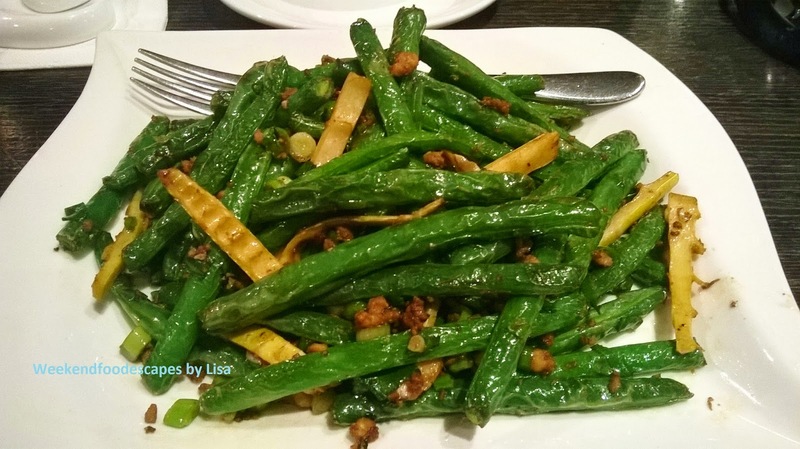 I also had the Lynn special sauteed garden beans, bamboo shoots and pork mince at $14.80 (pictured above) which was a nice side. 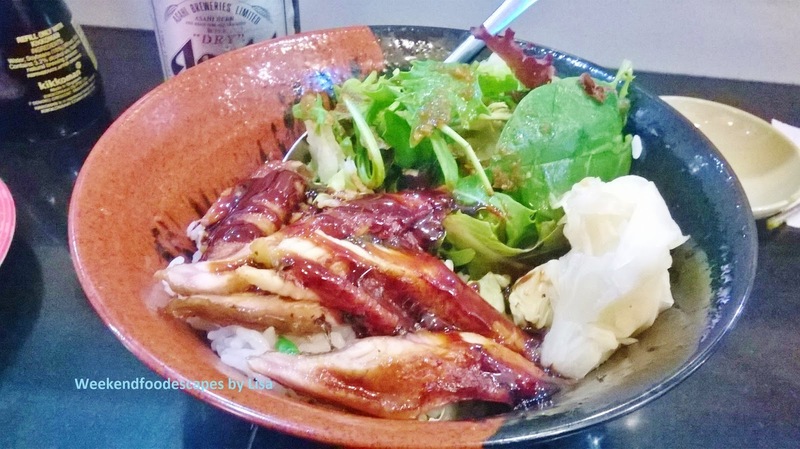 I quite like the Taste of Shanghai so I am a regular there but Lynn Shanghai is a nice change and they have quite a number of other dishes to try. I think Lynn Shanghai is probably a margin cheaper but I think the Xiao Long Bao is much better at Taste of Shanghai. Location: In the RSL, 199 Castlereagh St, Sydney (near Town Hall). The Pavilion is in the main strip of Berry and is part of the Berry Village Boutique Motel. The Pavilion is a little restaurant with big hearty meals, it resembles the atmosphere and quality of a clean, down to earth pub. Pictured above is the Black Angus eye fillet mignon 300gr- wrapped in smoky bacon & cooked the way you like, topped with Creamy Mushroom sauce. This will set you back $35. The meat was quite thick so it wasn't evenly cooked. Lucky for me, I don't mind medium rare or medium so I still enjoyed this meal. The sides were consistent. The picture below is the Blackened chicken breast- pan fried chicken roulade with smoked salami, mini cornichons, coated in Cajun herbs and spices & a side dapper of smoked paprika aioli dipping sauce at $28. All the sides seem to overwhelm the plate and the main of chicken but it was still a solid, hearty meal. Come by if you're looking for a casual meal. The prices are probably a little steep but there's not much competition around so supply v.s demand! Berry is in hot demand so you should book ahead of any restaurants. There are some quite highly rated ones. 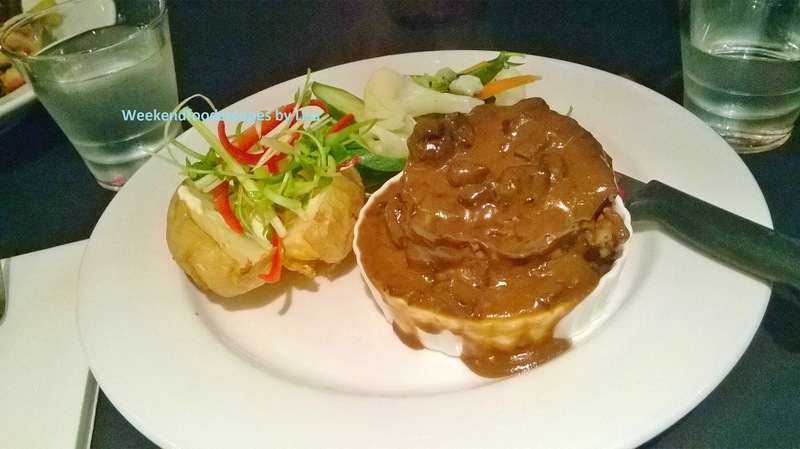 Our Place on Darling is a very homely feeling restaurant. The meals taste very homely and fulfilling but a touch nicer than a home cooked meal. Try your best to find some parking near Our Place on Darling! Balmain is not the most parking friendly place but it will be worth it. 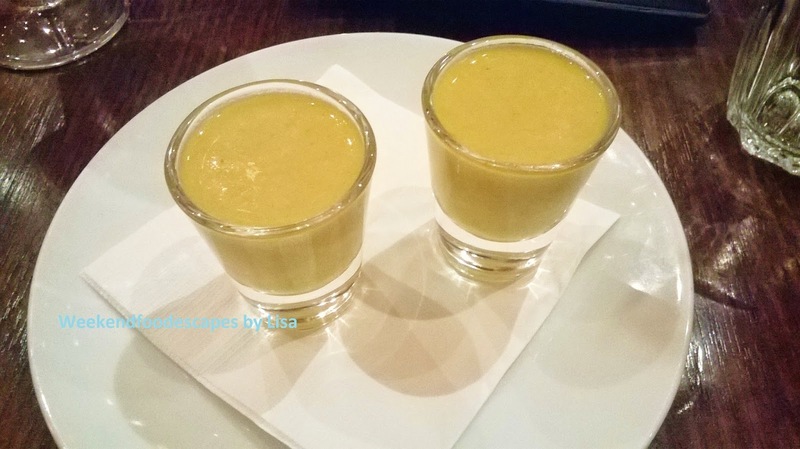 As always, Our Place on Darling starts with complimentary shots of soup. For mains, I chose the gnocchi ($23) which is described as 'our' feta and chive gnocchi, roast beetroot, goats cheese, walnuts and crispy kale. I could could taste every element in this dish. The gnocchi was perfect, soft on the inside, a little bit firm on the outside and very easy to eat. I did enjoy all the textures in this dish but it did leave me a bit thirsty. I think it's missing a component, the flavour combinations of goat cheese, beetroot and crispy kale definitely worked. Very tasty. Give it a go! My partner had one of the specials which was the English Sunday roast. 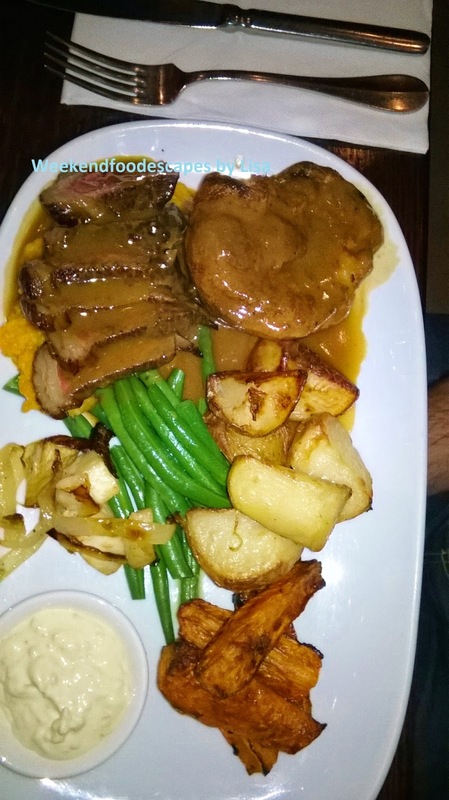 A very homely meal of roast beef covered in gravy, roast potatoes, wedges, beans and onion. It also had a yorkshire pudding which was also covered in gravy. Delicious! Perfect for a Sunday night. I quite love dessert at Our Place on Darling. 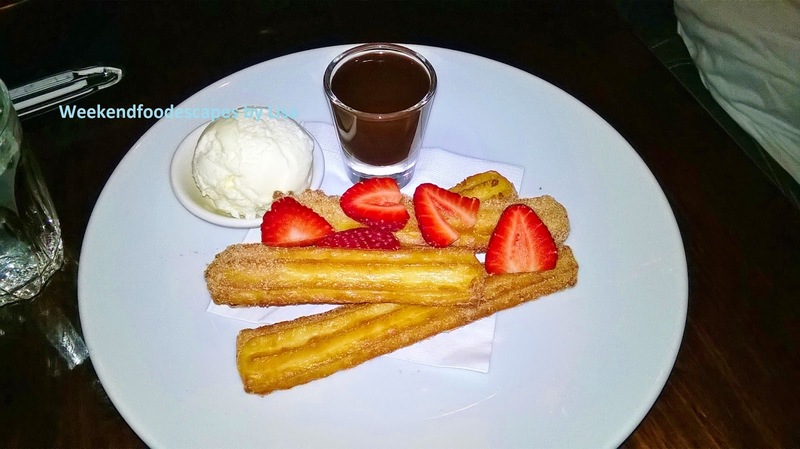 I had the Churros ($11) which had vanilla ice cream, a pot of chocolate sauce and strawberries. They were a bit soft when you bit into them so they could have used a few more minutes of cooking. The $12 Sticky toffee pudding was perfection. 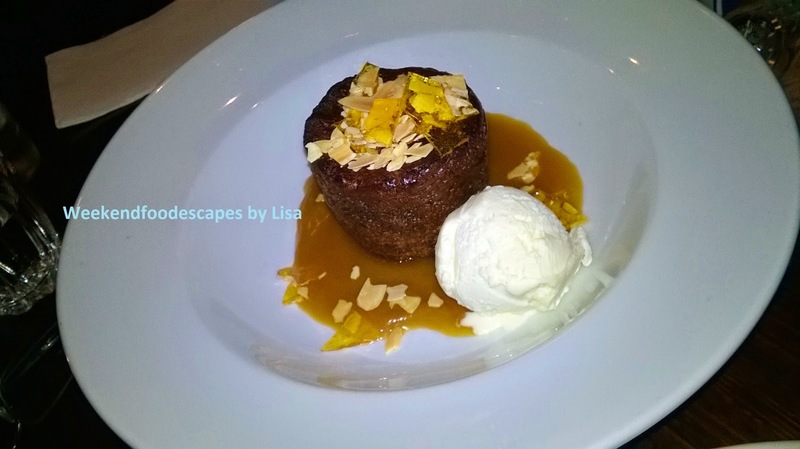 The pudding was covered in a salted caramel sauce and almond praline. A must try. 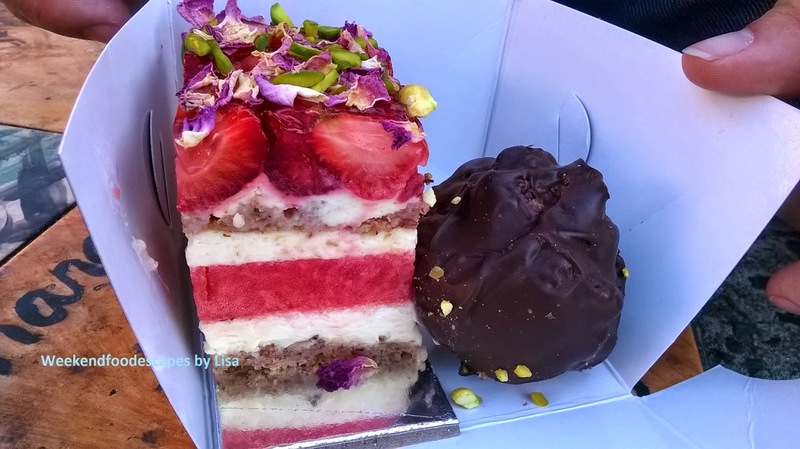 Worthy of it's 86% like rate on urbanspoon, check out Our place on Darling! The 74% like rate on Urbanspoon is too generous unfortunately. It's probably the second worst sushi train that I've been to but it does have convenience on it's side - being located right near the cinemas in Chatswood's Westfields. My worst experience is here. 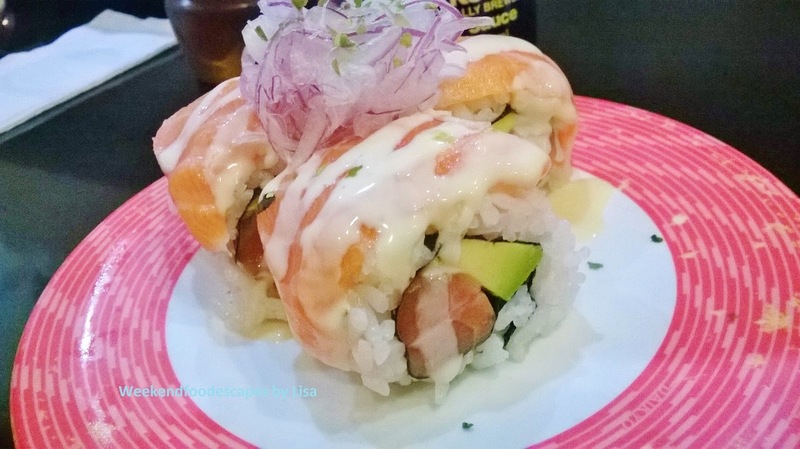 I don't think the sushi is fresh and the rice is a bit stale. I think maybe the sushi stays on the train for too long. As I was limited on time before my movie, I thought I would try one of their mains. I saw the chefs microwaving the eel before putting it on the rice. The eel tasted very much like it came from the microwave. I ate a few spoonfuls out of desperate hunger and went to my movie! Give this one a miss if you can. For Indian Flavours but on the lighter side, I ordered the chicken tikka, naan bread and small salad combo at the Chai Shop in North Sydney. 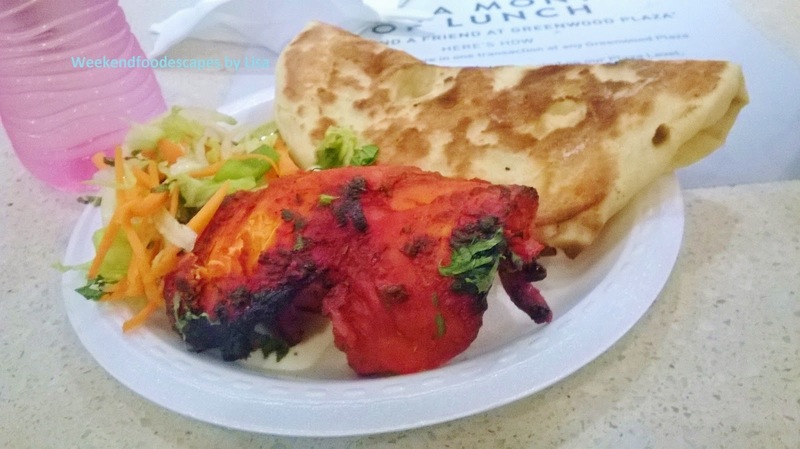 The Chai Shop is located in North Sydney's Greenwood plaza in the upstairs food court. It's always bustling and I always see massive trays of curries and satisfied customers. The chicken and plain naan went very well together. He also gave me to dollops of sauce which were very chili. Maybe too spicy for me. Nice for a lighter, quick Indian lunch at $11 with a bottle of water. Maybe one day, I will get the larger trays of curries with naan. It just seems like a very large meal! Gyro. Pronounced "yeeros", the very popular and brother of the kebab will send all sorts of foodgasms throughout your body. 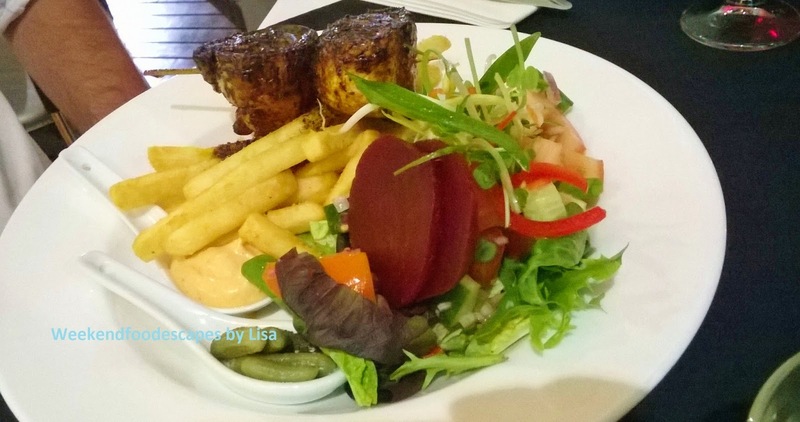 Kefi's is located nearby the Kingsgrove Train Station so it's very accessible if you're on the train or car parking isn't too bad in suburban Kingsgrove. Bloggers will talk about former chefs of Perama and Xanthi bringing their special touch to Kefi's. 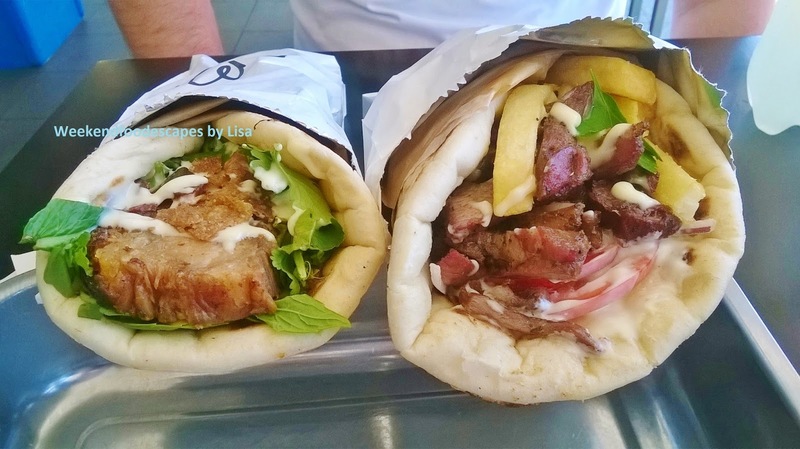 I never had the pleasure of tasting the pork belly, baklava flavours at Perama but I'm very fortunate to enjoy the pork belly baklava gyro at $9.50. What a unique sounding gyro! The pork belly baklava gyro (bottom left) had slow roasted pork belly, a date and pistachio paste and parts of baklava goodness. There is a light mayonnaise that brings everything together. Delicious and unique!!!!! Nothing beats your traditional lamb gyro. The $8.80 lamb gyro (bottom right) was mouth watering and so satisfying on so many different levels. I am obsessed! Slices of flavoursome lamb, garlic mayonnaise, chips, tomato, parsley on beautifully soft and fresh bread. I love the food here. I would venture out all the way to Kingsgrove for the food. 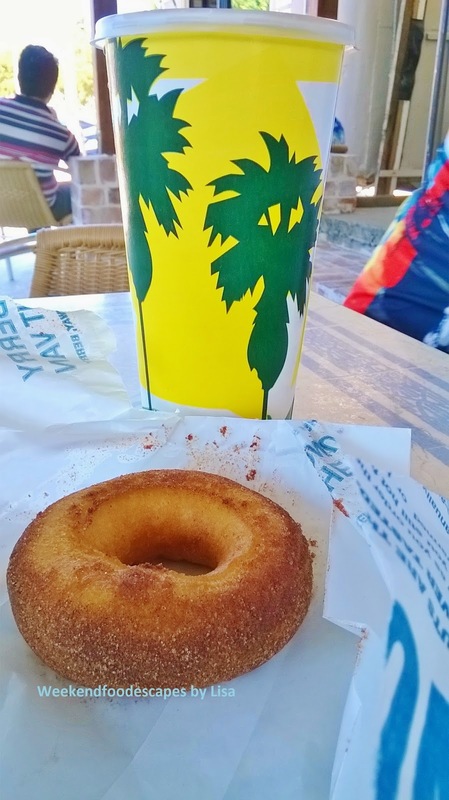 Fresh made donuts are warm, slightly crunchy on the outside, soft on the inside and full of cinnamon, sugary flavours. The Famous Berry Donut Van delivers this in Berry. The donuts are very tasty but are probably comparable to fresh donuts from Donut King. Both are very delicious. But the difference is that the Famous Berry Donut Van guarantees fresh donuts even if that means a long wait. 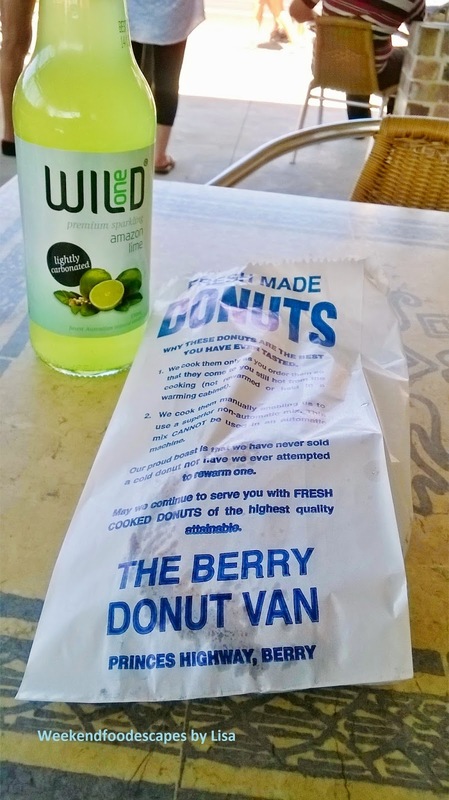 But it's all about supply and demand and given there are no other competitors; the famous Berry Donut Van is famous! People are willing to line up and wait for these donuts! I only bought one donut for $1.20 with a lime drink. 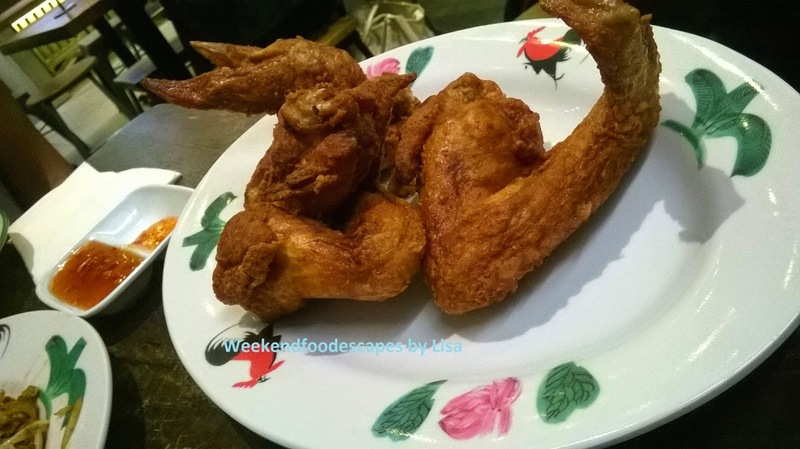 Sedap is a cheap, cheerful outlet and I completely disagree with the rating on urbanspoon. At a current like percentage of 51% - this is completely unfair and out of context for this outlet. I really like the Char Kuey Teow and ordered this again at $12. 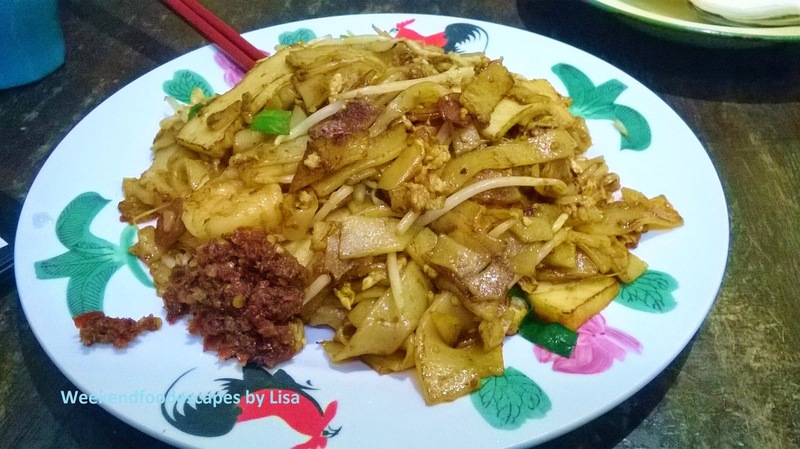 Delicious flat rice noodles. prawns, tofu, chinese sausage, beansprouts and a side of chili was a dish that was very easy to eat. I always feel guilty thought because it's a very high carb, fatty meal. I also tried the fried chicken at $2.5 a piece. I'm not sure if there were any malaysian influences but the chicken was perfectly cooked in a slight crumb. Not bad. 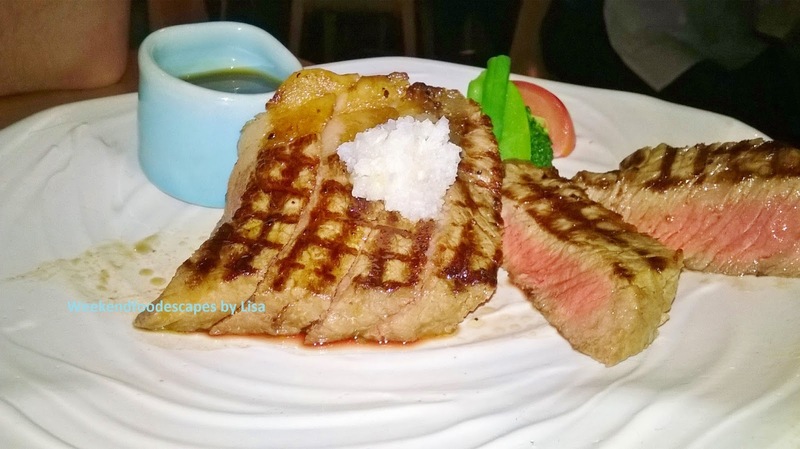 Masuya is a fancy Japanese restaurant ideal for that special dinner with that special someone. I've been here several over the years and I've enjoyed every experience. The Masuya restaurant has great ambience with great lighting, jazz music in the background and decore that shouts "a bit posh". 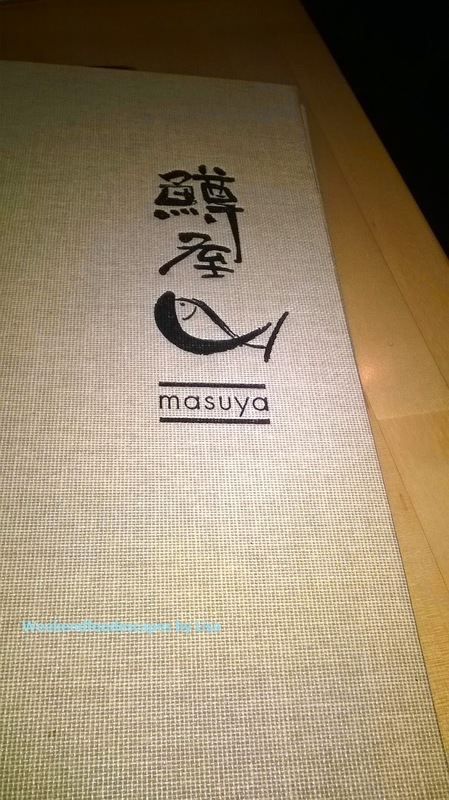 The Masuya menu has a number of traditional Japanese dishes. To start off with, I had the "Sashimi Ocean 5" at $16.80. This beautiful dish had tuna, kingfish, salmon and two varieties of fish of the day served on ice. 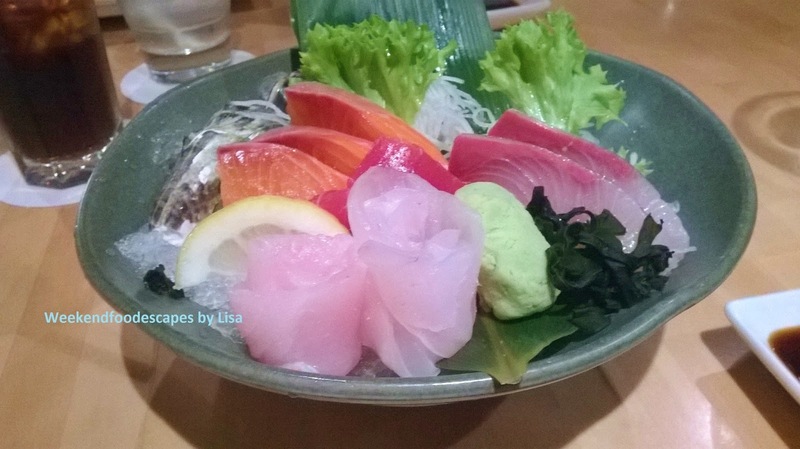 The sashimi is fresh and nicely sliced in a thick slab. 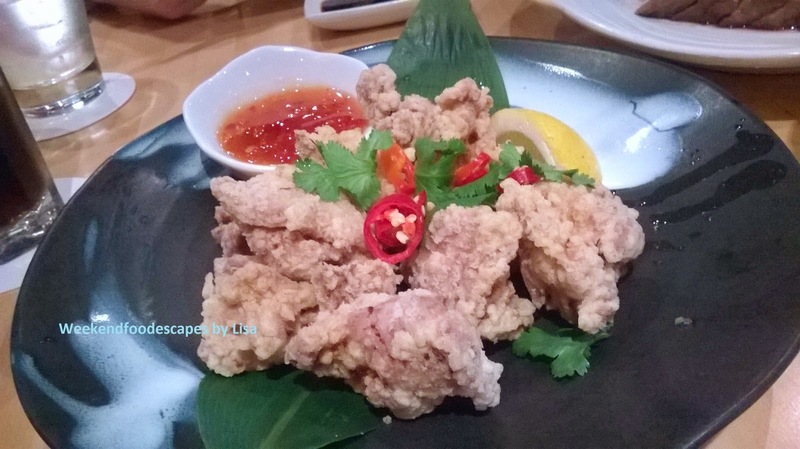 For main, I ordered the Karaage Chicken at $17.80 which was a deep fried marinated chicken thigh fillet with soy and mirin served with sweet chili garlic sauce. The chicken was nice but not the amazing kind of Karaage I've had at other restaurants such as Ryo's in Crow's Nest. I also prefer a mayonnaise rather than a sweet chili sauce. I would probably give this one a miss. I also had the Wagy Beef Miso (230g) at $34.80 which was a marble score no.7 sirloin with miso paste sauce. The beef was perfectly cooked with a touch of pink in the middle. It was very tender and juicy. I loved it. The miso sauce was ok but the meat was beautiful. 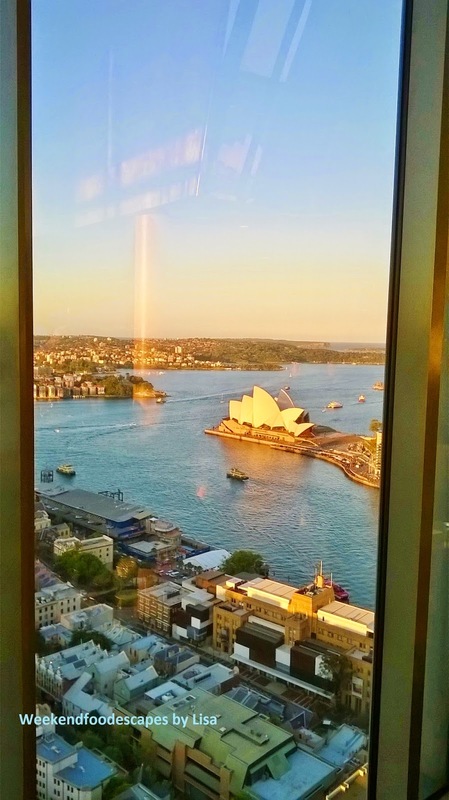 The best views can be seen from Blu Bar on 36 at the Shangri La, Sydney. 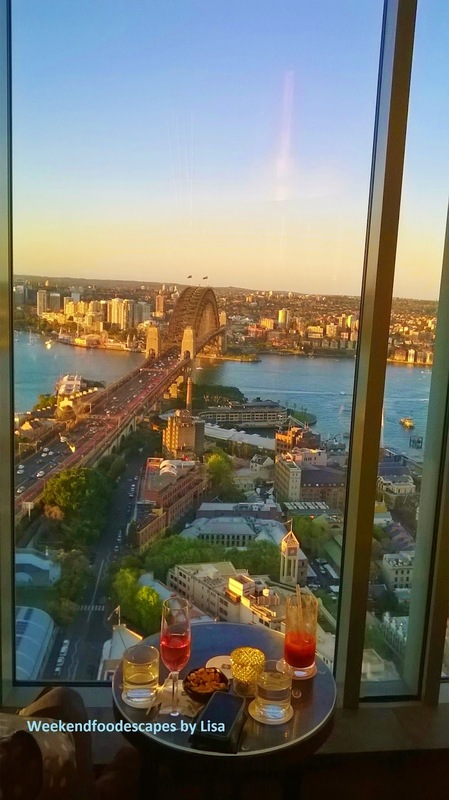 Get there early at 5pm for a spectacular view of the Harbour Bridge or the Opera House. It's the beautiful backdrop for a romantic date or a nice girly catch up. You will see a mix of tourists and stylish people pandering around enjoying the view. Wow, look at that view! The staff are highly attentive and the cocktail list are sophisticated and delicious. The cocktail (below on the left) is the Apple and Dill Mule at $19. It's described as "The Moscow Mule was created when three salesmen trying to market their individual products combined their items to sell as a cocktail. We infuse 42 below Vodka with fresh dill and serve it with lime and ginger beer." 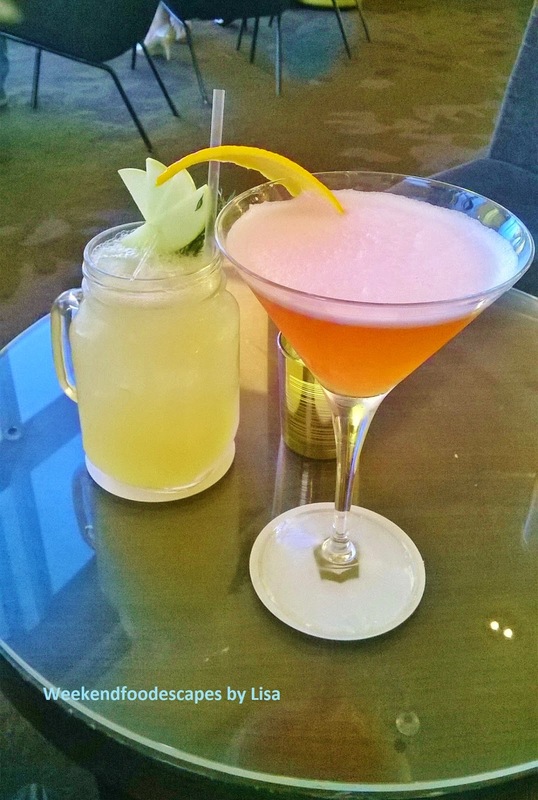 The cocktail on the right was very fruity and tasty.